The MacBook has a Retina display, which means it has an ultra-high resolution screen that’s capable of showing crisper images than on the MacBook Air, which has a standard display. 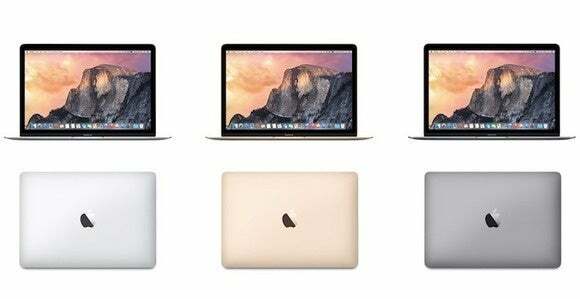 The MacBook has a native resolution of 2304×1440 and offers scaled resolutions of 1024×640, 1280×800, and 1440×900. The 13-inch Retina display has a native resolution of 2560×1600, and OS X offers a scaled resolution up to 1680×1050. The 15-inch Retina display has a native resolution of 2880×1800, and OS X’s highest scaled resolution on those laptops is 1920×1200. These high-scale resolutions can accommodate the workspace of a larger-screen standard Mac laptop on a smaller Retina MacBook Pro if you can tolerate the smaller icons, text, and other graphics on the screen. If you use a third-party app such as QuickRes, you can set the Retina screen to use resolutions higher than the scaled settings OS X offers, including the native resolution.